Amidst single digit temperatures and falling snow – two feet worth – New Years day in Durango found the #18 under steam for the third of three days of movie filming taking place in the Durango yard. Rumor has it The Orphan train movie will air on Netflix sometime in 2019. 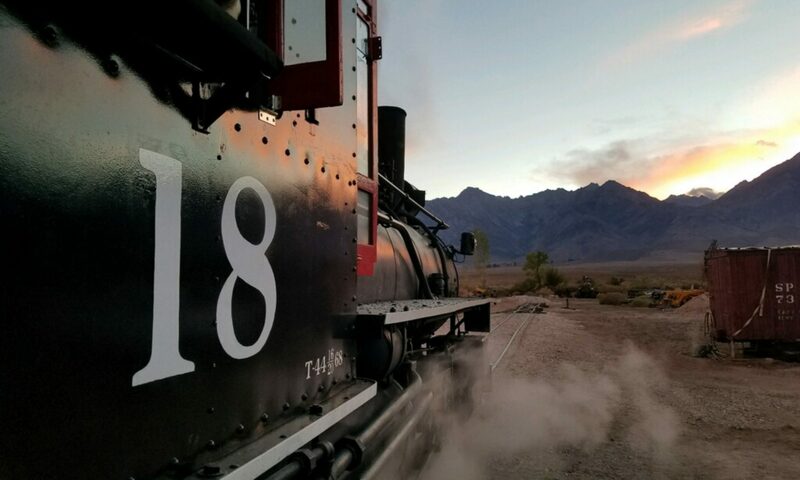 Looking ahead to 2019 we are excited to announce that the #18 will participate in the Durango and Silverton RR winter photo train, along with Galloping Goose #5, on February 16th and 18th. Exact details for the February trips can be found on the Durango and Silverton website. There will also be regular Cascade Canyon trips on March 6th and April 9th that will be available for sale in the near future. As always your ongoing donations and support are greatly appreciated, so thank you and we look forward to an exciting 2019!